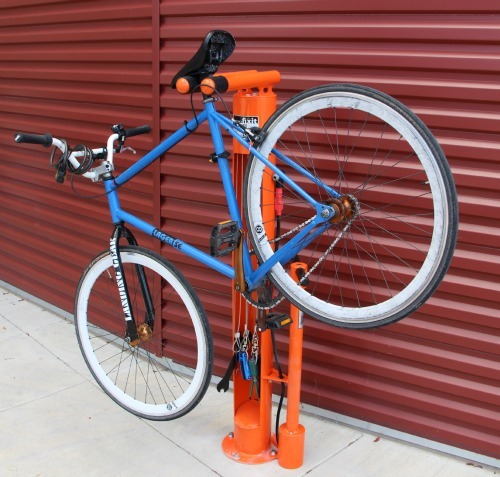 New Bike Fixit Station at Central! Need some air in your tires? Want to tighten up those loose handlebars or adjust your brakes? 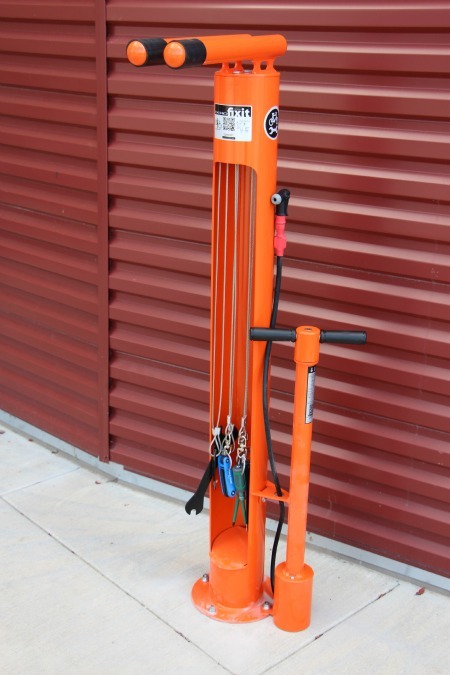 Now you can do all that and more with our new DERO Fixit bike repair station at the Central Library! 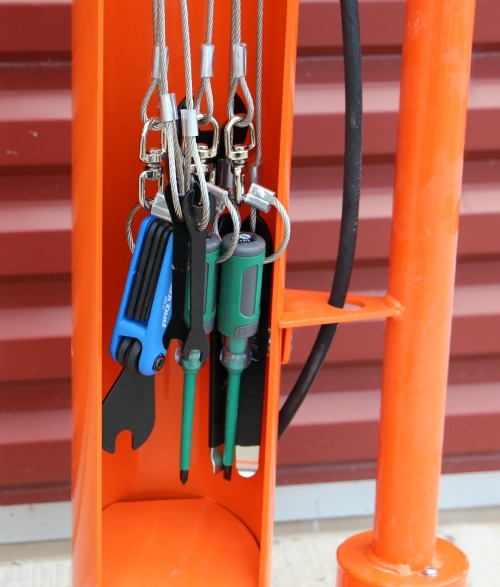 The station has an air pump and all the basic tools you need to mount your bike and perform minor repairs. Find the station near the west entrance…available 24/7! I am a librarian in Loveland, Colorado, and I want to do the same thing for my library. I’m writing a grant for the People for Bikes program and have to include a timeline for the project. Do you have any advice or help that you could offer in order to help me with this last piece of the grant?